Graham will discuss the current and future trends in the 3D additive manufacturing industry as they relate to Hewlett-Packard’s introduction of their Multi Jet Fusion Technology. The move towards production quantities of 3D-printed parts will be investigated and a demonstration and tour of our facility will show how ProtoCAM is rising to the challenge. This event will begin at our neighboring facility, ATAS International (6612 Snowdrift Rd, Allentown, PA 18106), and a tour of our facility will follow. Engineers, Design Engineers, Manufacturing Operations, Continuous Improvement, and Material Management are encouraged to attend this event. Attendees can expect to learn about advancements in 3D Printing and how it can favorably impact bottom line costs and speed time to market. For over 25 years, MRC has helped small and mid-sized manufacturers become more competitive, adopt lean and agile processes, strategically grow their companies, and invest more effectively in their existing human capital. MRC offers job creators access to specialized coaching, mentorship, and a variety of business and marketing assistance normally outside the reach of most manufacturers. Graham is the Vice President of Additive Manufacturing here at ProtoCAM. 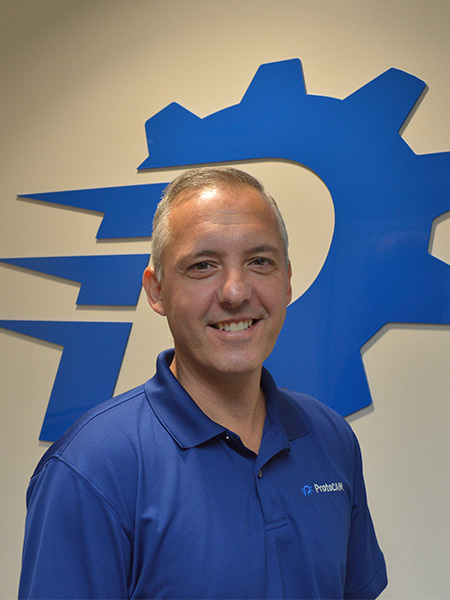 He has a BS in Plastic Engineering Technology from Penn State University and over 20 years of experience in the Additive Manufacturing industry. His extensive background also includes overall business operations by working in sales, marketing, product design, project management and engineering, all of which make him an expert resource. To learn more about this FREE event and register, visit the event page on MRC’s website.